. "Shingoose". The Canadian Encyclopedia, 16 December 2013, Historica Canada. https://www.thecanadianencyclopedia.ca/en/article/shingoose-emc. Accessed 23 April 2019. Shingoose (b Curtis Jonnie). Singer-songwriter, guitarist, b Winnipeg 26 Oct 1946. An Ojibwa, he was raised on the Roseau River Reserve and 1950-60 by a Mennonite missionary family at Steinbach, Man, where he sang in church choirs. Shingoose (b Curtis Jonnie). Singer-songwriter, guitarist, b Winnipeg 26 Oct 1946. An Ojibwa, he was raised on the Roseau River Reserve and 1950-60 by a Mennonite missionary family at Steinbach, Man, where he sang in church choirs. Moving at 15 to the USA, he toured as a member of the Nebraska-based Boystown Concert Choir and played ca 1965-73 with a variety of rock bands in Washington, DC, and New York. Jonnie returned to Winnipeg in 1973. Moved by the confrontation that year between whites and members of the American Indian Movement at Wounded Knee, S Dak, he became an activist on behalf of native peoples. Taking the name of his great grandfather, Shingoose, and singing in a country-folk style, he has appeared at the Edmonton, Mariposa, Vancouver, and Winnipeg folk festivals, at the Big Valley Jamboree, and across Canada in coffeehouses and on university campuses. 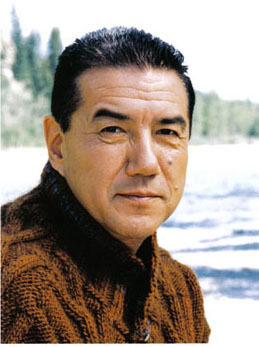 He wrote and performed songs in the Native musical In Deo, which toured Canada in 1983. In 1985 he became the host for a native current affairs TV program syndicated in western Canada from CKND, Winnipeg. 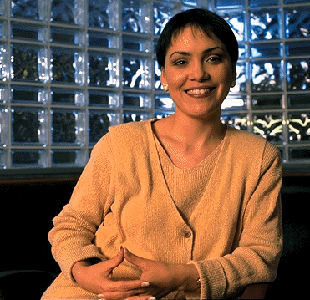 His own company, Native Multimedia Productions, Inc, established in 1986, produced 'Indian Time,' a groundbreaking TV special with Tom Jackson, Buffy Sainte-Marie, Laura Vinson, and other native performers, telecast in 1989 by CTV. Shingoose's recordings include the EP Native Country (1975, released by the Native Council of Canada, MS-11710-11), the LP Ballad of Norval (1979, CBC LM-467), and the cassette Natural Tan (1989, Headband Records HC-8801). His best-known songs include 'Loved Ones' (originally 'Wounded Knee Blues'), 'Indian Time,' 'Natural Tan,' 'Reservation Blues,' 'Crow Fair,' and 'Elijah'.